Ladakh is a dramatic mixture of arid mountains, towering Himalayan peaks, Buddhist culture, traditional living and spectacular scenery. The land of many passes alias Ladakh is a hub to enjoy exhilarating adventure activities like mountain biking, hiking, mountain climbing, white water rafting, heli-skiing, and trekking to name a few. Out of all these thrilling adventures, trekking in Ladakh is a starlit venture that has been engrossing people from all over the world since decades. 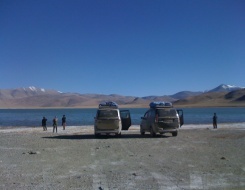 Location of Ladakh is so alluring that one can visit here for more than hundred times in a lifetime. 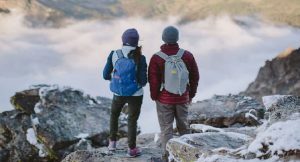 Going by the adventure quotient, there are plethora undiscovered treks that not only offer beautiful sights but also make one see the different side of Ladakh. All these treks are not meant for the faint-hearted, they will challenge one physically and engage mentally. 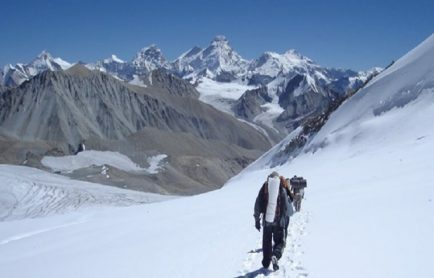 Mentioned below are some action packed trekking trails in Ladakh Himalaya Region. Missing all these trekking trails is a sin. 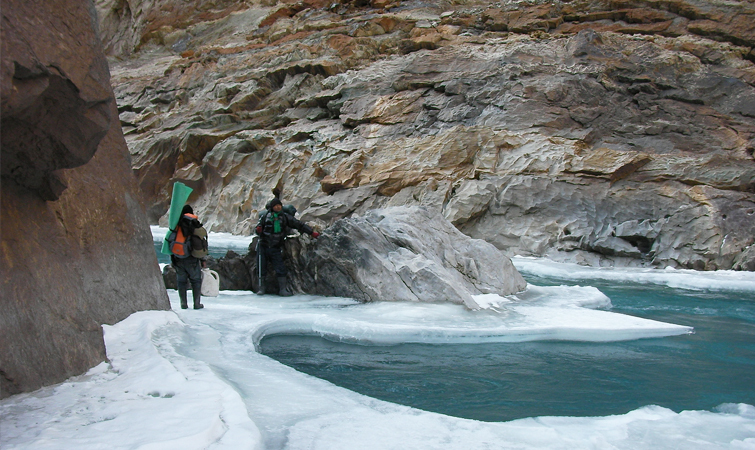 The feeling of walking on the frozen Zanskar River at a jaw-dropping elevation of 3800 m is rapturous. Chadar Trek is the toughest and arduous trek of the Ladakh region. The temperature remains chilly during the daytime and uncomfortably freezing during the nights. 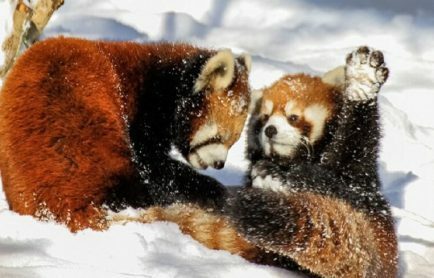 During the winter season, the area remains covered with the blanket of snow due to heavy snowfall. In summers, the region emits the vibrant color of nature. 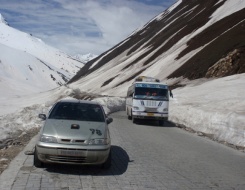 There are two ways to reach the final destination of the trek, Chilling. First and most challenging way is by walking on the Frozen River as one can witness the gurgling water at every footstep. Second is by trekking through the mountains and boulders. Trekking expedition will start from Tilat Sumdo, and then it will further lead to Tsomo Paldar, Naerak Pullu and finally ends at Chilling. From Chilling, the trek is very fragile and adding to the woes can be the landslide. 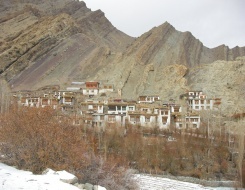 Apart from the picturesque and towering peaks, here one can see frozen cascades, monasteries and forts. What makes the trek difficult? Walking on the frozen river is difficult. Trekkers will have to climb towering mountains, icy rocks and boulders to reach the final destination. Also, the temperature remains cool during the daytime and uncomfortably freeze during the night. 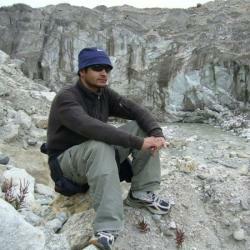 Junglam Hemis to Padum Trek is the most beautiful trekking trail of the Ladakh region. 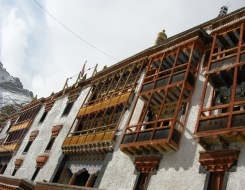 One has the opportunity to witness the beautiful Hemis monasteries and catch a glimpse of Ladakh’s rich culture. The best season to explore this trek starts from August till October as this is the time when snow melts and river turns ferocious and starts chattering with pebbles. The trekking expedition starts from the Hemis Monastery and then it will lead to Pipiting village and will pass via Kongmaru La, Zulung valley, Tilat Sumdo, Charcharla and Zangla Sumdo. What makes the trek difficult? 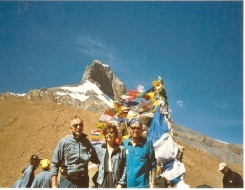 : To reach the main end point of the trek, one will give to do river crossing at various points. Also, there is a consistent change in the altitude. 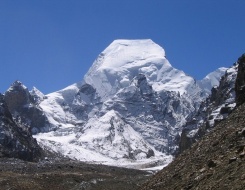 Kang Yatse (6400 m) & Dzo Jongo (6200 m) are the two peaks of the Markha Valley region. The best way to pass this summit is through the Markha Valley. 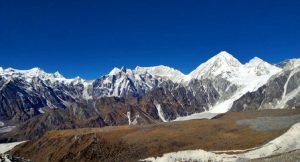 Trekking expedition last for 13 days including 6 days of acclimatization trek (Spituk to Hankar), 4-5 days to reach up to summit, further back to the base camp, and 2-3 days to Nimaling and then to Shang Sumdo Via Gongmarula. 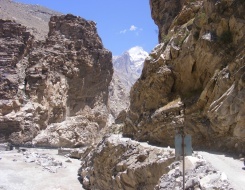 Further, one can visit the Ganda La and from there one can see the panoramic view of Zanskar and Stok range. The journey can be a bit strenuous and tiring, but it throws lots of adventure at every turn. What makes the trek difficult? 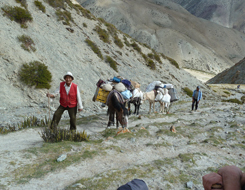 Rigid and difficult terrains make the trek difficult to encompass. 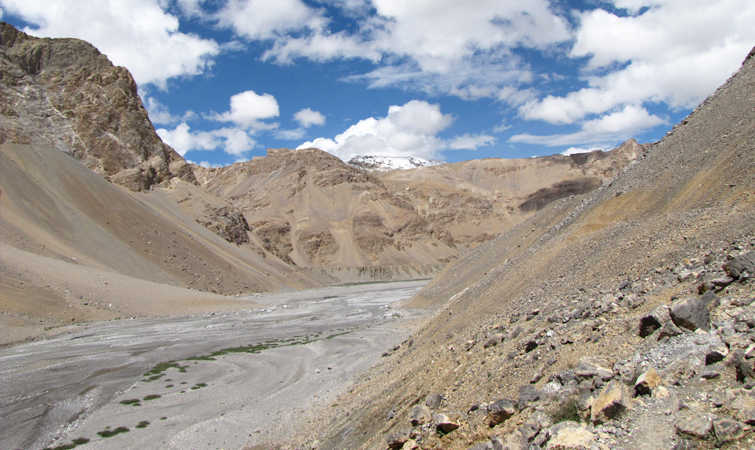 In addition to the difficult terrain, this Ladakh trekking tour requires a lot of acclimatization. 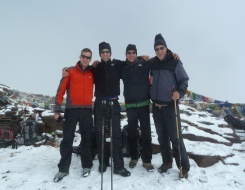 Hence, the first 6 days of this 13-day trek is dedicated to acclimatization while on the move. 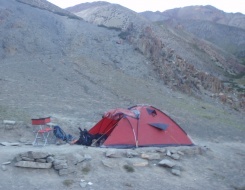 It takes skills and years of experience to transverse the Stok Kangri trek. All thanks to its rigid topography, the trek throws challenges on every turn. 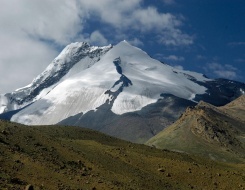 Located at a jaw-dropping elevation of 20,080 ft, Stok Kangri is the highest mountain in the Stok region. The Stok Kangri peak can be approached from Sumdo, this is the point from where tourists can see a wide variety of birds. 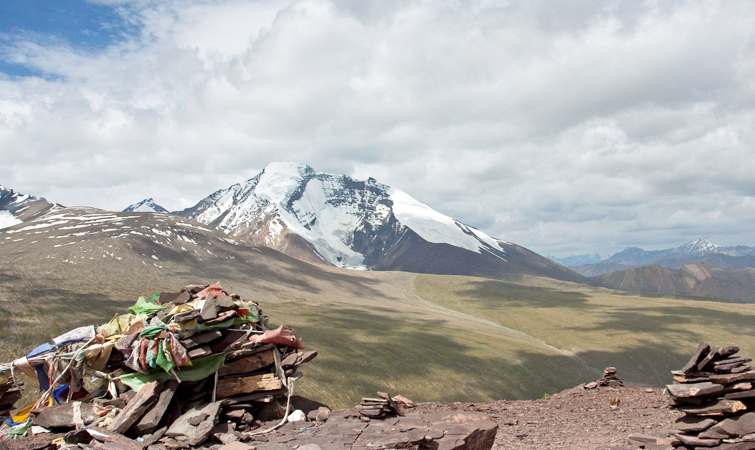 Further the trek will lead to Shang Phu, where adventurers can spot wolves and then towards Shang La. 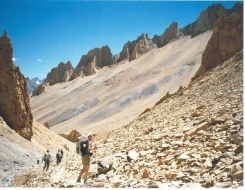 Descending to the Tokpo Rivera, the trek will lead to Math La from where tourists can see the glimpses of Stok Kangri. 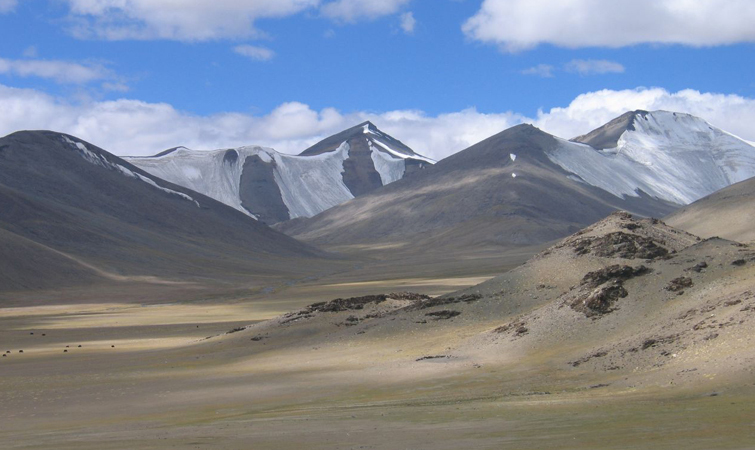 The trail will further lead to Stok Village and Smankarmo by passing through the ridges; thereafter a strenuous trek up the Stok Kangri peak follows. 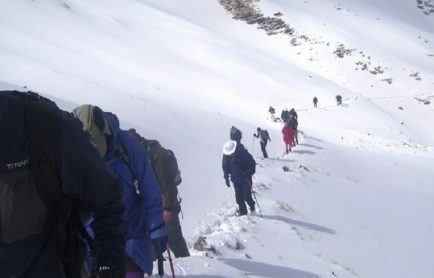 It is one of the most demanding treks of Ladakh, as one will have to do rappelling, river crossing, mountain trekking, and mountain hiking to reach the final destination; Stok Kangri Trek is meant for amateur and experienced trekkers, having one or two trekking experiences above 5000 meters. 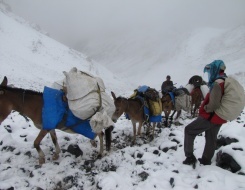 What makes the trek difficult? From height to terrains, everything related to this trek is thrilling. It’s tough to climb the peaks, skills and strategies are required to trek in the region. One will have to do rope climbing, mountain trekking, and hiking to reach the final destination. Also, the height of the peak is almost 70% of the Mt. Everest. 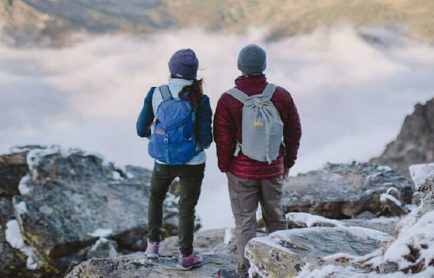 Rupshu Valley trek is the most iconic trekking trail in the eastern Ladakh region as it offers scenic panorama that can give anyone Goosebumps. Over the course of 20-23 days, the trekkers will meet and greet with the people of Chang-pa tribe and contemplate the culture and scenic beauty of Ladakh. While trekking, the adventurers will come across abandoned villages, wild desert scenery, and vast grasslands. The thrilling trek will start from Rumtse and covers the places like Kyamar, Tisaling, Pangunagu, Nuruchan, Rachung Karu, Gyama Lhoma and Korzok. Rupshu Trek has a deep connect with the history of Indian trade. Changpas, the nomadic people who used to stay in the region used to drove their caravans of sturdy mules across Rupshu and into western Tibet, carrying goods such as salt, wool, cloth and costume jewelry. 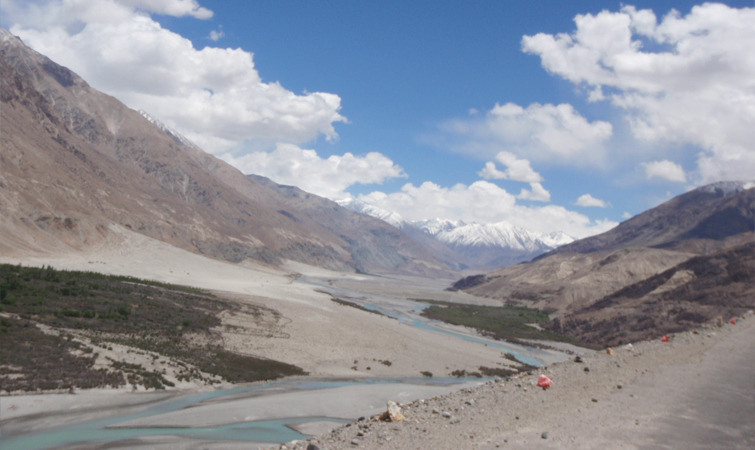 Located amidst the Indian Himalaya and Indus Valley, Zanskar is the least explored area of Ladakh and is famed for it. The remote trek will take one through the action-packed sights and will offer an opportunity to witness something exception at every turn. Further, the undulated topography with sparse and patches of vegetation along the riverbanks makes the journey contrasting and capturing as well. Throughout the course of 15-18 days, one will see the beautiful cascades and gorges which are formed by the Zanskar River, nomadic settlement at Zangla, Sumdo, Tilat Sumdo, Nimaling and lastly the picturesque view of the twin peaks, Nun and Kun. The Zanskar Trek flags off from Mulbek and passes through Rangdum, Padum, Zangla, Sumdo Village, Tilat Sumdo, Base of Rubang La, Markha Valley, Thochuntse, Nimaling and Sumdo and finally ends at Leh. What makes the trek difficult? 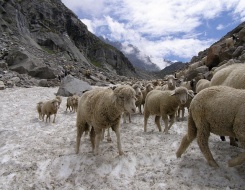 Climatic conditions are extremely difficult for trekkers to transverse the trek. 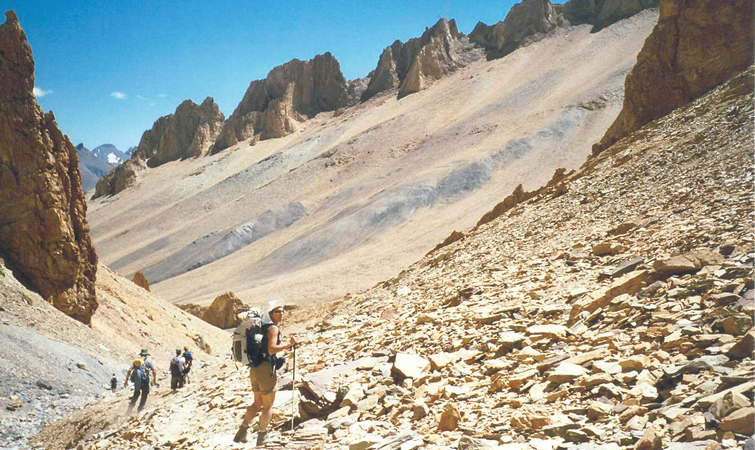 Offering the unparalleled view of the Ladakh, Tsomoriri is a very interesting trekking trail. The trekking trail begins from the picturesque Tsomoriri Lake and head to the fertile land of Spiti, transversing through the stunning view of Parang La and the further descends to Jugstok, leading to Kibber, which is one the highest altitude villages in the world. This is one of the most amazing experiences one can enjoy in Ladakh Himalaya. Jaw-dropping landscapes along with unusual rock formation and open spaces make it one of the favorite treks of the trekkers. 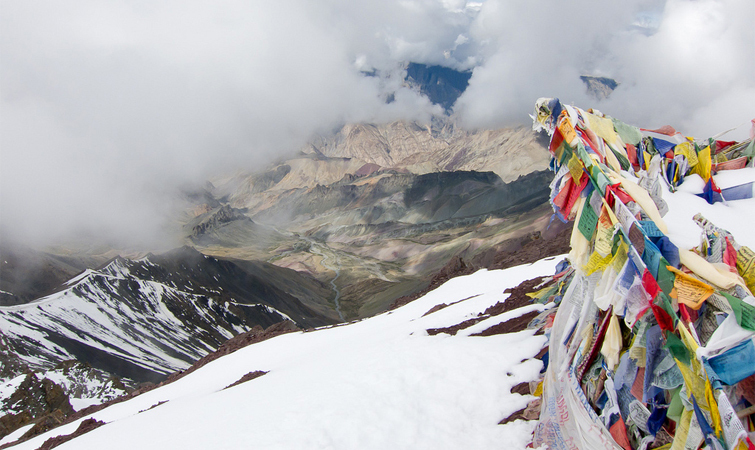 One of the premier trekking locations, Ladakh offers access to the snow-drenched and step Himalayan ranges. All the treks mentioned above aren’t like walking in the park- they’re about stepping into a new destination, culture, and history. Be it the enthralling Zanskar or the picturesque Chadar, a sense of victory is unsurpassed at the end of every trekking trail. 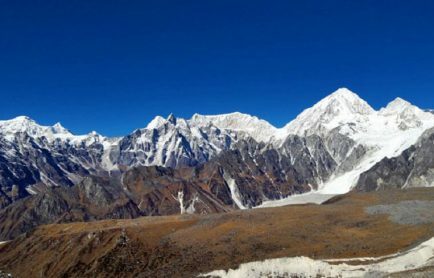 Pack your bags, lace-up your boots and plan an expedition to these iconic nine divine trekking sites. Let us know if any trek is missing by commenting in the box mentioned below. 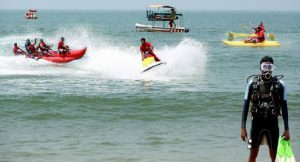 For India Adventure Activities and Tours Price email on info@peakadventuretour.com or call at +91-9212553109.